The Frye Art Museum is a privately funded Seattle Museum with a rich history and a growing collection. 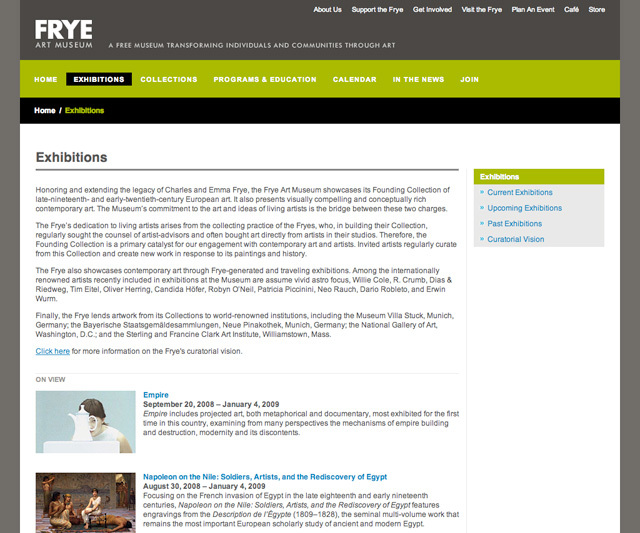 The museum needed a site that not only represents the face of the Frye to patrons and members, but also allows them access to information about the entire collection and a calendar of events and exhibitions. We worked collaboratively with the Frye staff to define the goals of the site and map out IA and visual design in order to create a fresh, clean experience. We then hooked up a robust CMS that allows them to add pieces to their collection, update calendar events, change content, and keep the site a living part of the museum. 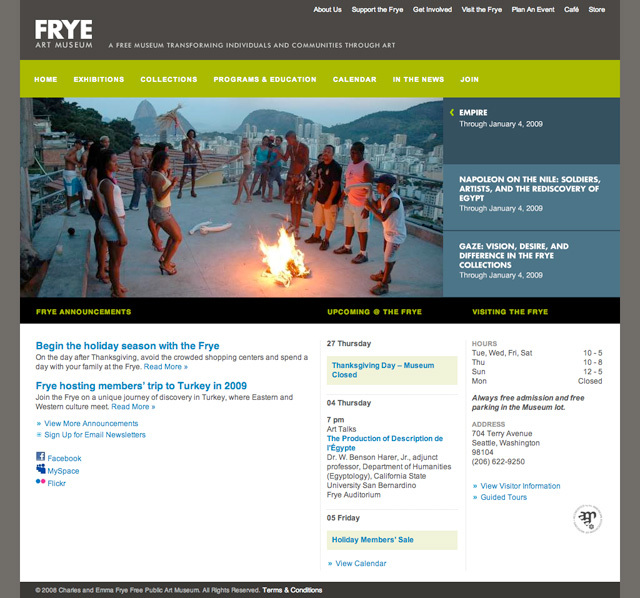 After the site launched, the Frye received praise and positive feedback from its members and the media. Awarded Silver by Seattle Show 2009 for Information Design.